Alexander Rose Ocean Pearl Wave Table 1.3m: The Alexander Rose Wave Table comes in this elegant design, guaranteed to complement any outdoor space and will easily seat four when combined with chairs from the Ocean Pearl Range for a wonderful garden set. The Ocean Pearl 1.3m Wave Table features a traditional basket style pattern made with 7mm flat rose fibre in mixed pearl tones, woven onto a powder coated aluminium frame to give the table a light and modern finish. 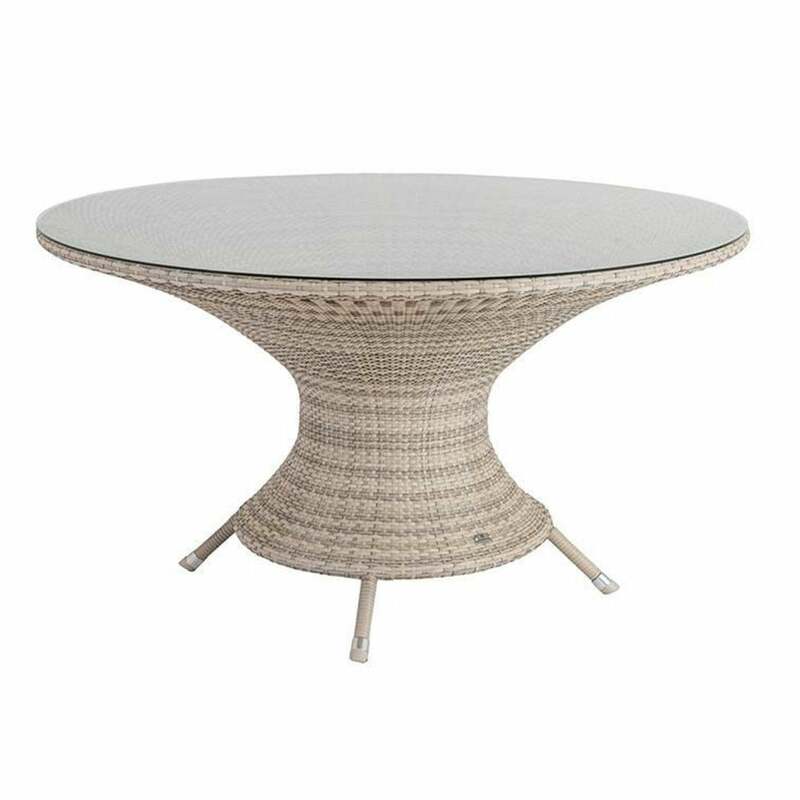 The weave on the Alexander Rose Wave Table extends across the table top and down the centre to create a nicely curved line with a tempered glass top for a maintenance free design.